The next Vancouver Blogger Meetup will be held on Wednesday, February 25 at the End Cafe. The event brings together Vancouver bloggers for an evening of fun and networking. As an added bonus, I will have copies of Stephane Grenier’s new book, Blog Blazers, for everyone who shows up. Blog Blazer interviews 40 of the Internet’s top bloggers. Find out how they started and what they did to get their blog to where it is today. The book is both a learning experience and a motivating one as well. I’ve gave away copies to all attendees of last week’s Dot Com Pho and the reviews have been extremely positive. RSVP to the Vancouver Blogger Meetup. 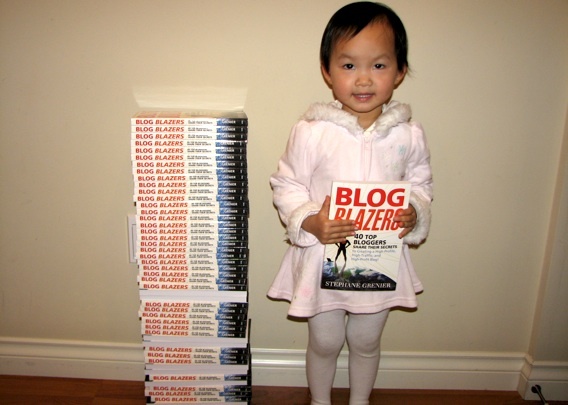 For those who can’t make the meetup but would like a copy of Blog Blazer, reply to this post and you’ll be entered to win a copy. You only need to reply once. Replying multiple times won’t get you any more entries in the draw box. We’ll draw the winner live at the Vancouver Blogger Meetup on Wednesday night. Good luck!